Ready to sink your teeth into the new Bloodsuckers II Slot from NetEnt? 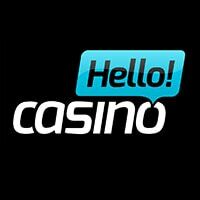 Betsafe and many other casinos in the Betsson group such as CasinoEuro, Mr Smith Casino, and Betsson have all got exclusive early access to the new Bloodsuckers II slot from NetEnt. 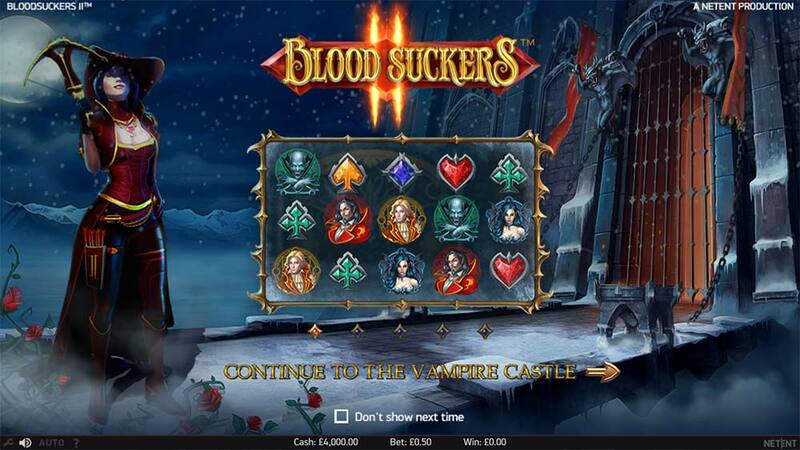 This is the successor to the super low variance vampire themed slot, and you can pretty much expect more of the same in Bloodsuckers II with a few new twists and additions to gameplay, but essentially you are looking at a “re-vamped” slot that’s ready to play on desktop PC and mobile with a full graphic update. 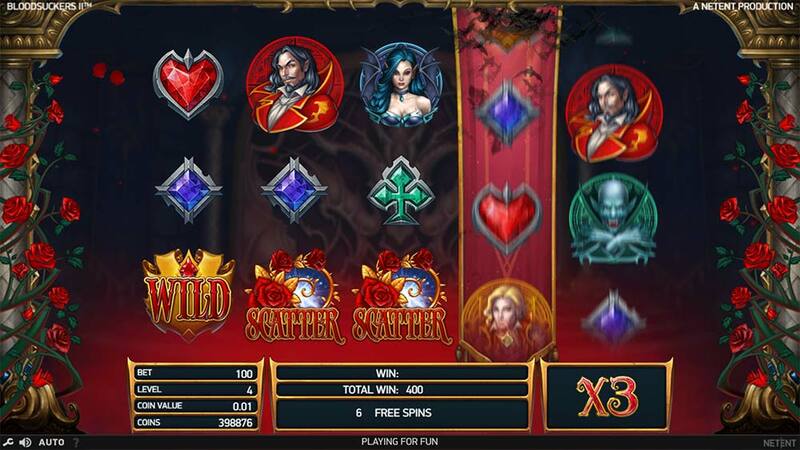 Bloodsuckers II uses a regular 5×3 reel layout and come with 25 fixed paylines, the original bonus rounds are still in place with a few new twists, so there’s a now a multi-level picking round which is triggered by the bonus symbols, a free spins round that awards 10 free spins with 3x multipliers, and a couple more new features which help to trigger the main bonuses, namely the Scatter Shot and Bonus Shot features. 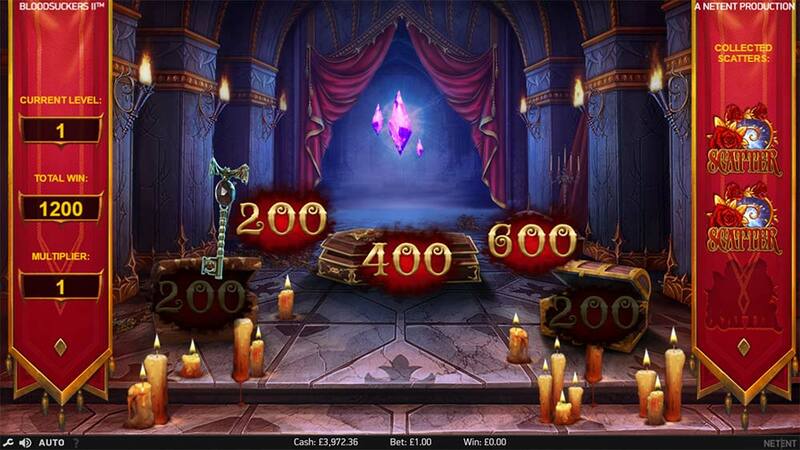 The main bonus picking round has received a slight update in Bloodsuckers II, there are now various levels to progress through as you pick through the treasure chests, uncover the key symbol and this will lead to new higher levels with better rewards, as well as the chance to actually trigger the free spins round by collecting 3 of the scatter symbols from inside the chests too. 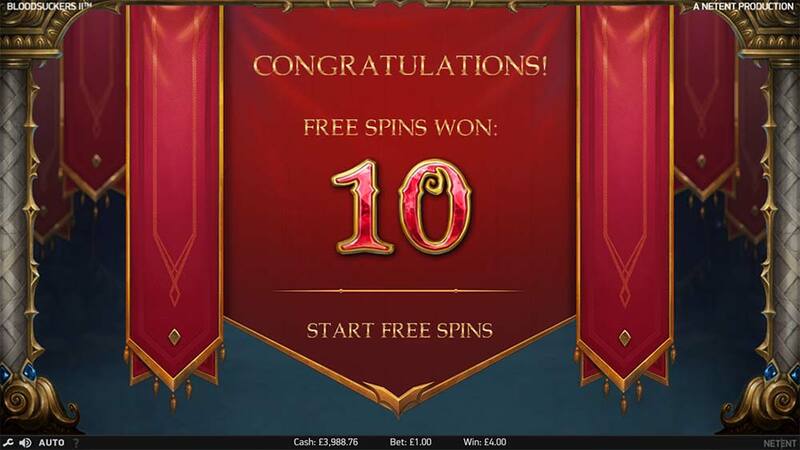 Triggered by landing 3 or more of the special Scatter symbols on the reels, this grants you with 10 free spins with a 3x multiplier applied to all wins and the chance of re-triggering the bonus round by landing 3 more scatters in the free spins too. 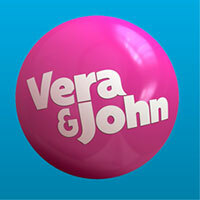 When this random feature activates, 1 extra scatter symbol can be added to the reels, this will then trigger the free spins round and award coin pays for all the picture symbols visible on the reels. 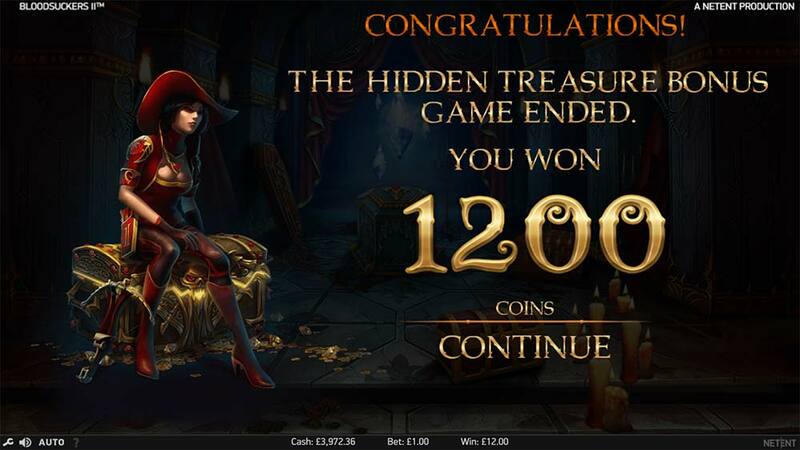 The Bonus Shot feature can be randomly triggered in the base game and awards 1 extra bonus symbol (Treasure Chest picking round) on the first 3 reels. Where to play the Bloodsuckers 2? 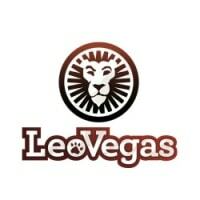 The Bloodsuckers 2 slot is currently an exclusive release for the entire Betsson group of casinos, you will it playable at the following online casinos. Bloodsuckers II is certainly an improvement over the original in terms of graphics and sound effects, the gameplay is close to unchanged though and offers 2 simple bonus rounds, and retains the low-variance paytable too. 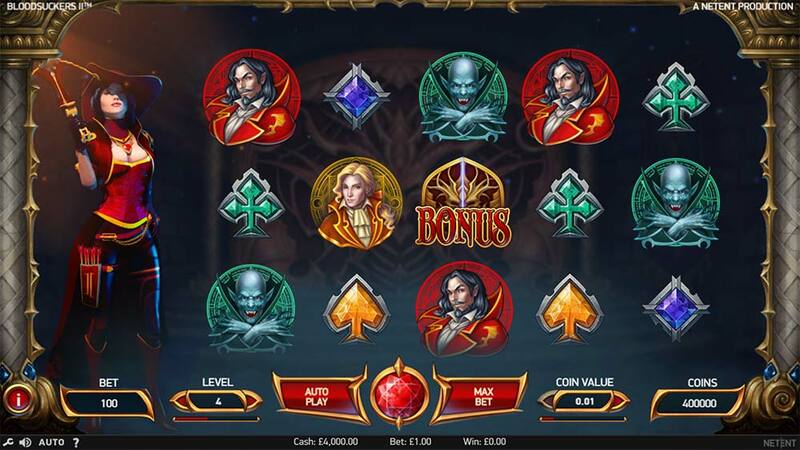 The 2 new features in the base game add a little more to the mix, and the new picking round is a slight improvement, with further progression and rewards on offer, but we were expecting a little more from NetEnt for a slot which could be hailed as a “big release”, even though it’s a low variance slot. With the RTP still high at 96.94%, it certainly looks on paper to be a wise choice for bonus wagering, we’ll have to see how the casinos react to it, as the original was pretty much bonus wagering banned across the board.